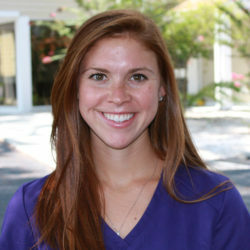 Sonia Vieregge Kennedy, MS, RD, LDN is a Registered Dietitian with a Bachelor of Science in Nutrition and Hospitality Management from East Carolina University and a Master of Science Degree in Nutrition and Dietetics. 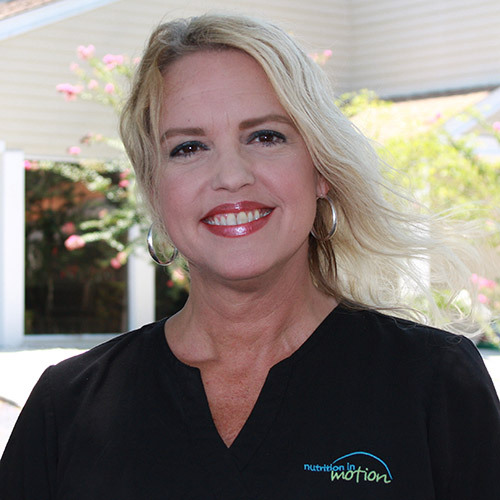 Sonia has over 18 years of experience in many areas of health care. Her experience includesworking as a clinical dietitian in hospitals, teaching at universities, and serving as a health educator for a medically based fitness center. Sonia also has vast experience working to promote work-site wellness. Since starting Nutrition in Motion in 2010, Sonia has found her true calling. In an out-patient setting, she gets to follow along with her clients and takes pride in knowing people are benefiting from the counseling she provides. When Sonia is not at work, you can find her paddle boarding, boating, kayaking, at boot camp classes or out for a jog. She also enjoys spending time with her family, including her 3 dogs: Skyler, Austin and Ringo. 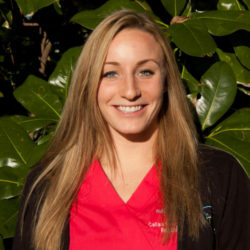 Arden Lippert, RD, LDN graduated from the University of Georgia with a Bachelor’s Degree in Dietetics and completed her Dietetic Internship with Iowa State University. She spent the majority of her internship in the clinical setting where she provided individualized nutrition counseling to outpatient clients. She also completed culinary courses national and abroad emphasizing fine cooking and cultural cuisine. When Arden is not in the office you can find her outside running, swimming, or biking. She is an avid traveler and loves competing in marathons and triathlons. She enjoys spending time in the kitchen learning techniques and developing new recipes. Laura Luke, AS, BS, is our Client Relations and Billing Specialist. 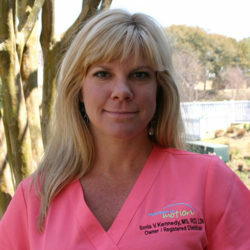 Laura is a Wrightsville Beach Native, and has over 20 years of health care experience in the Wilmington area. Laura can schedule your appointment, answer any insurance or billing questions you may have, and make sure your experience with us is easy and stress free. When not at work, Laura enjoys swimming, diving, camping and hiking.